You must have seen the Tabloid headlines announcing to the whole world that Oprah hit the 200 pound mark again. Food Addiction is still, after all these years, a reality for her. I actually read a whole article on this in her O magazine at the gym. I do not agree with the whole new age journey into self that she embraces. Unfortunately all of this is a far cry from her Christian roots, however, I do admire the woman’s openness about her struggle with food addiction (not that it is such an easy thing to hide). Could be that we never would have heard a word about it if it was a struggle with drugs or alcohol. Whatever the case might be she does speak candidly about being disappointed in herself for falling back into her old habits of using food as a drug to numb stress and cope with other unwanted emotions. Now, I was thinking to myself: If there is anyone that has all the money and resources to her disposal to stay on top of her weight, it would be Oprah. It seems that some things in life just keeps getting the best of you, never mind how rich, influential and famous you are. Of course one can reason, and I’m sure many do, that this is all because she doesn’t really have a relationship with Jesus. I would not take on the role of judge, however one always get an indication from the fruit that is hanging from the tree… Please understand that this in in no way shape or form an Oprah bashing article. On the contrary, I think we have something to learn here. 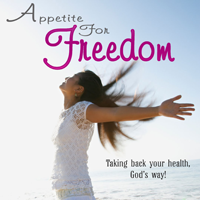 I know just as many God fearing people who are still battling Food Addiction. Some of them, just like Oprah, have been struggling for many years. One of the things that stands out to me in her open confession is her disappointment in herself for still, after all these years (she is in her fifties) having to talk about her weight. I couldn’t help but feel so sorry for her. I have had ladies in my support groups that were in their sixties and still battled eating disorders or some kind of food related struggle. I am convinced that years of experimenting with the “quick fixes” got us all in a jam. Every time we would grab another blade of straw and every time it would make us fall and sink even deeper into the pit of a slow metabolism, weight gain, health deterioration and depression. Oprah had a few interesting things to say about her own epiphany. She lays her most recent weight gain at the door of not taking care of herself, not living in the moment and a too full schedule. Now these claims don’t just belong to the rich and famous, this kind of hectic life is something most working moms can relate to. In fact you don’t even have to be working to feel the pressure of raising kids, supporting your husband and keeping the house in order. Once you become a mom your own needs disappear and you almost forget who you are. Fortunately, the real you start to emerge once your kids hit high school, this is providing you don’t get another little gift added to the bunch as I did 17 years after my eldest was born. In a situation like this you become one big ball of MOM. You don’t know who you were before you were a Mom, you can’t remember any of your dreams, and you are not sure if you ever had any. This is of course an accident waiting to happen. Throw in church activities and family obligations and you become a raging lunatic instead of a woman. Seriously, how many mothers do you know that have lost their zeal for life, They’re always telling you that they are tired and busy, and some obviously struggle with their weight or admit to full blown food addiction. I recognize them, because I’m one of them. In recent years some of that changed. I struggled with bulimia in my twenties, so I know all about the warning signs of an eating disorder. All of this made me more aware of the fact that I have to start taking care of my children’s mother or they won’t have one pretty soon. Making time for my dreams and living in the present moment is something I aspire to every day. Of course I first had to deal with my baggage, pin point my dreams, take control of my health and especially renew my relationship with God. All of this is setting me on the right road to get out of Food Addiction. Will I ever totally get out? You know what I mean, the kind of freedom where you never think about food and weight gain. I have hope and faith for it. I believe God can and will help me and set me free in His perfect time. As for boasting and being self assure about never having to face this battle again or being totally free before I’m a certain age: Nope, I won’t go there. Just as Oprah revealed, I too came face to face with my own pride too many times to still think that I am immune to falling. If you want to change things in your life so that you can turn this struggle with food around, then visit my website for women struggling with food addiction and eating disorders. Get some answers, listen to some real women with real stories, just like yours. 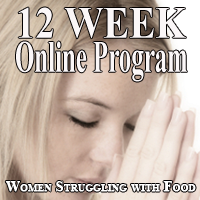 You can get help for yourself or a loved one through my 12 Week Online Study Course. 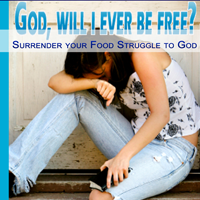 I’ve compiled this course from my own experience with food struggles, insight and understanding I’ve gained through counseling ladies in my support groups, Biblical principals, as well as material I’ve gathered by well-known Christian authors, counselors, and doctors. This study is jam-packed with information, practical guide lines and honest testimonies.